Evaluation n°1 : Record the 5 sentences in Exercise C and share them on your Drive with your teacher. 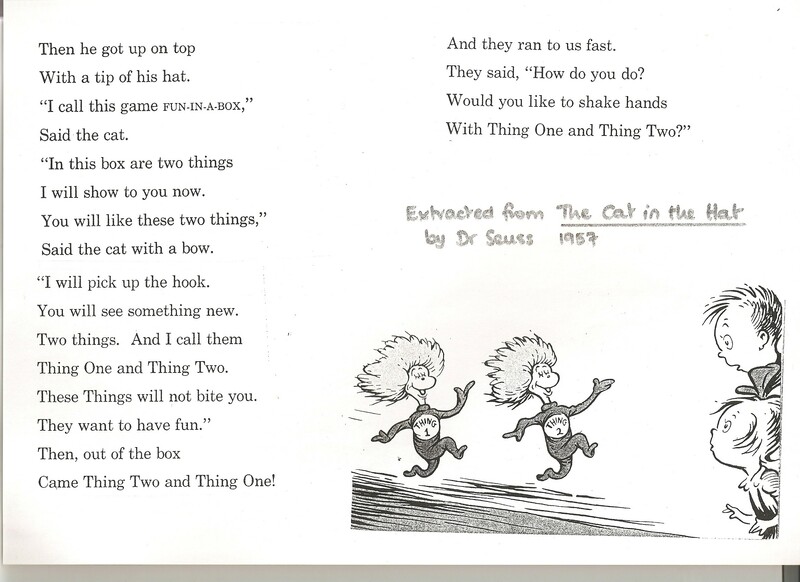 Evaluation n°2 : Thing One and Thing Two. And a recording to help you to prepare.